One of the best-kept secrets of the Bible is the ability to travel in the spirit. Found in both the Old and New Testament, this capacity has become increasingly popular in the past several years as God has brought this revelation to the Body of Christ on a widespread level. This shift, however, has brought about many questions. Some are skeptical as to whether traveling in the spirit is even possible. Others are concerned whether spirit travel is simply the occult practice of astral projection by another name. Still others want to know not just whether it is possible, but are hungry to learn how to engage this spiritual gift. This book investigates all of this and more! 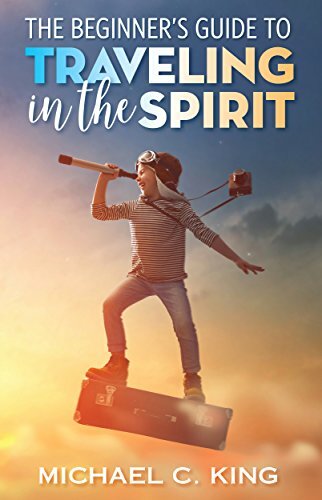 In The Beginner's Guide to Traveling in the Spirit, MichaelC King takes the reader through a logical progression, beginning with the Biblical basis for traveling in the spirit, looking at the practice of astral projection and comparing it with Biblical spirit travel, then delving deeper to explain how it is done. He explores travel in the heavens, the cosmos, and around the earth, complete with testimonies of such encounters. He covers trances, examines spirit travel in one's dreams, and even reviews communicating with the spirits of those who have died. Practical exercises are included to help the reader activate, practice, and develop this gift regardless of skill level. In the end, it is the author’s express hope that this book will help draw the reader into a deeper walk with God. Three books from the Passion Translation, on sale now. Prayers on Fire includes 365 prayers inspired by the book of Psalms from the heart-felt Passion Translation. Each day contains an excerpt from the Psalms and then a prayer from the heart, providing an expression of faith and worship for sincere worshipers.